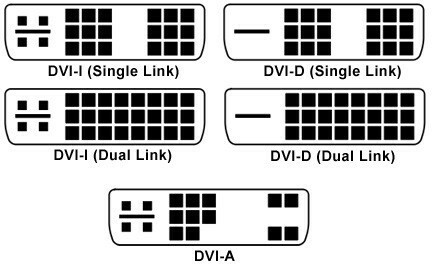 What Is The Difference Between DVI-I And DVI-D? A DVI-D connector sends out a digital signal while a DVI-I connector can send out both a digital and an analog signal. A DVI-D cable is fully compatible with a DVI-I connector – it will only read the digital output and simply ignore the analog. Most graphics cards and motherboards feature a Digital Video Interface (DVI) connector for connecting a monitor or projector to the computer. In the picture below, the DVI connector is colored white as opposed to the VGA connector which is colored blue. As already mentioned, a DVI-D connector sends out a digital signal only, whereas a DVI-I connector can send both a digital signal (for digital displays, such as flat panel LCD monitors) and an analog signal (for older displays, such as a CRT monitor) using a DVI to VGA adapter. For this reason, a DVI-I connector contains more pins than a DVI-D connector. Graphics card or motherboards which carry a DVI-I connector are therefore fully compatible with flat panel LCD monitors, which typically have DVI-D ports. The DVI-D cable will only read the digital output from the DVI-I connector and simply ignore the analog signal. Lastly, there’s the DVI-A which can only carry out an analog signal, but these are obsolete nowadays. For every graphics card or motherboard that has a DVI connector, the amount of pins and layout of the pins on the DVI connector differs depending on its type. The DVI is the most versatile connector as it can be used with both HDMI and VGA devices by using proper adapters. The Dual-Link connectors utilize all 24 pins which allow for higher bandwidth. As such, the Dual-Link DVI can deliver resolutions up to 2560×1600 at 60Hz or 1920×1080 at 144Hz while the Single-Link DVI maxes out at only 1920×1200 at 60Hz. 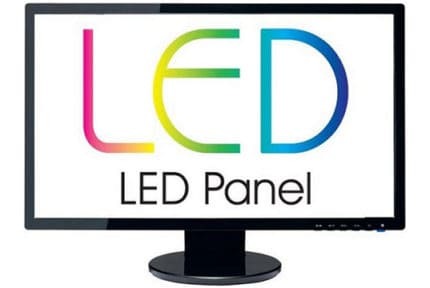 WLED vs LED - What Is The Difference? 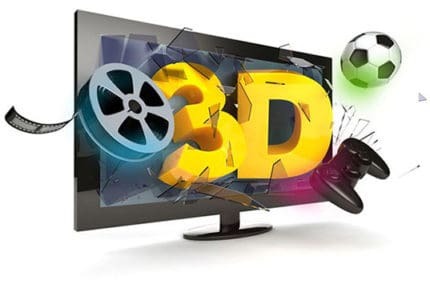 Active vs Passive 3D - What's The Difference?